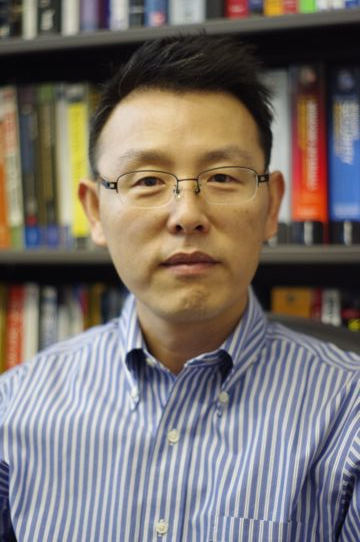 Prof. Kim is an Associate Professor in the Department of Computer Science at University of Nevada Las Vegas (UNLV). He received his Ph.D. degree from Case Western Reserve University in 2003 in the area of network security (DDoS attack mitigation). His research expertise includes secure network design, unmanned aircraft systems (UAS) communications, and cyber-physical system (CPS) security. He has published over 90 papers in peer-reviewed journals and conferences, and 6 patents granted or pending. His research has been sponsored by Microsoft Research, US Air Force, Naval Air Warfare Center, Oak Ridge National Laboratory, National Security Technologies, and National Science Foundation. His research on DDoS attacks has established a foundation for Rate-Based Intrusion Prevention Systems, which has been cited over 400 times collectively. Before joining UNLV in 2004 as an Assistant Professor, he has had a broad experience in IT industry. In 1991, he was a management information system consultant at Andersen Consulting (now Accenture). Between 1992 and 1994, he developed database programs to process the patient financial data at Cleveland Clinic Foundation, one of the ten largest hospitals in the US. Between 1994 and 1997, as part of his Ph.D. program, he developed the control system of an agile manufacturing workcell composed of robots and vision systems to automate the assembly of mechanical products. Between 1997 and 1999, he was a Member of Technical Staff at Bell Laboratories of Lucent Technologies, a telecommunication equipment manufacturer in New Jersey, developing the software for 3rd generation wireless system equipment. In 2000, he co-founded a New Jersey-based start-up company that developed a technology for delivering interstitial video advertising over the Internet. He was a visiting researcher at Oak Ridge National Laboratory in Fall 2011 and a Summer Faculty Research Fellow at the Air Force Research Lab (Albuquerque, NM) in Summer 2017 and 2018. UNLV Blockchain Day is held on May 4, Saturday, 2019. There is no registration fee. Anyone who is interested in Blockchain is welcome! Sungchul Lee, Ju-Yeon Jo, and Yoohwan Kim, "Performance Improvement of MapReduce Process Using Limited Node Block Placement Policy", The 3rd IEEE International Conference on Data Science and Advanced Analytics (DSAA), Oct. 2016. Yoohwan Kim, Juyeon Jo, Russell Harkanson, Khanh Pham, "TCP-GEN Framework to Achieve High Performance for HAIPE-Encrypted TCP Traffic in a Satellite Communication Environment", 2018 IEEE International Conference on Communications (ICC), May 2018. Priyanka Thota, Yoohwan Kim, "Implementation and Comparison of M2M Protocols for Internet of Things", 4th International Conference on Applied Computing & Information Technology (ACIT), Dec. 2016.